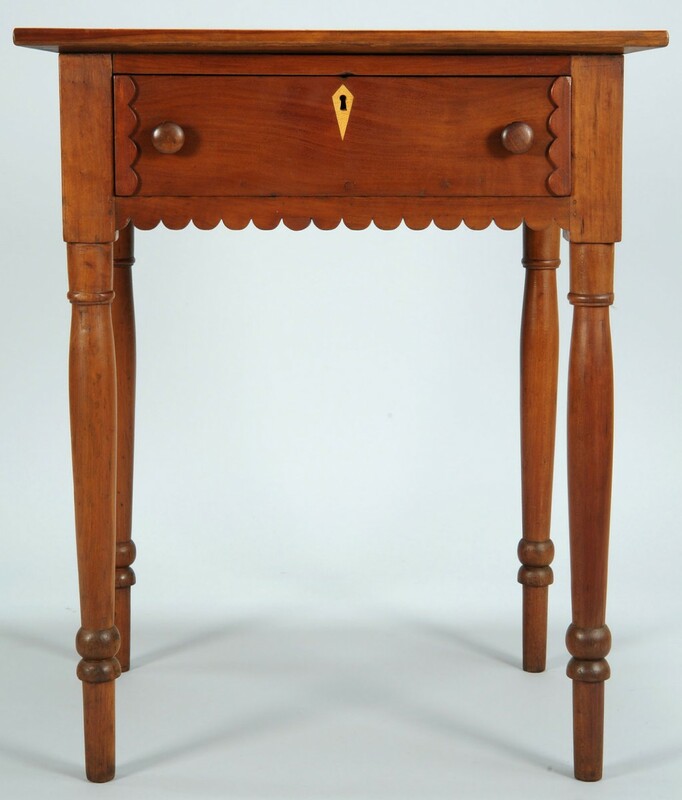 Sheraton East Tennessee cherry one drawer stand with poplar secondary, possibly Greene Co. 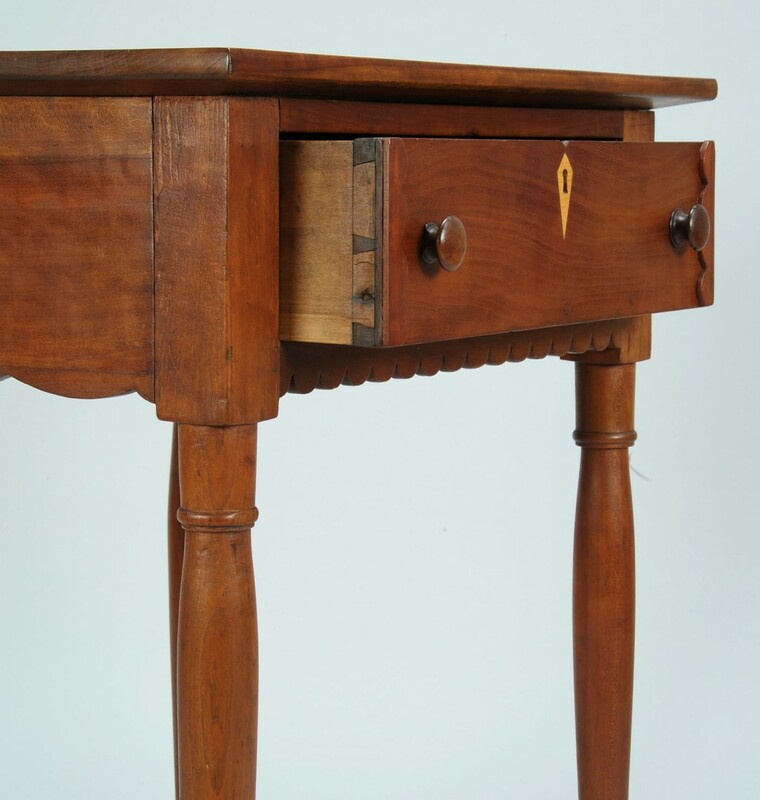 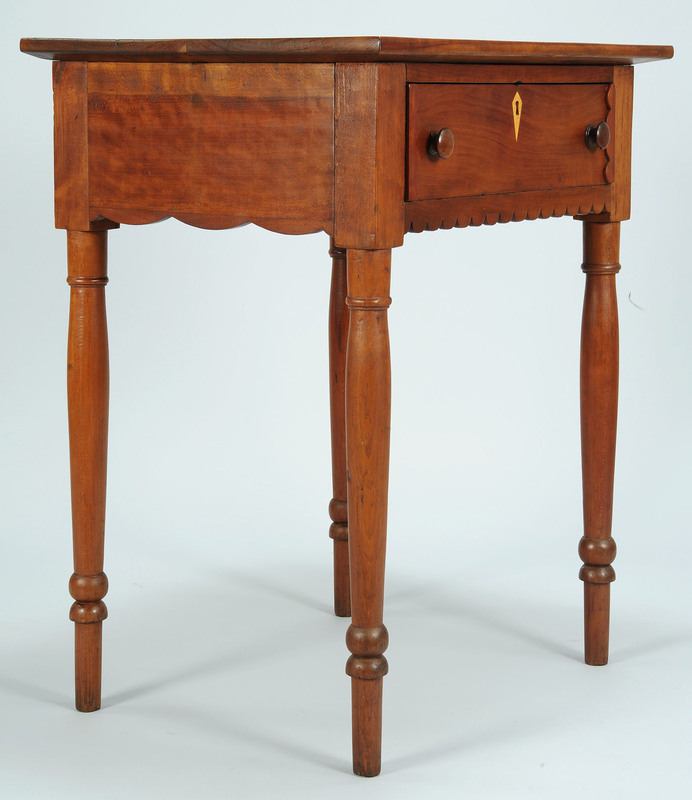 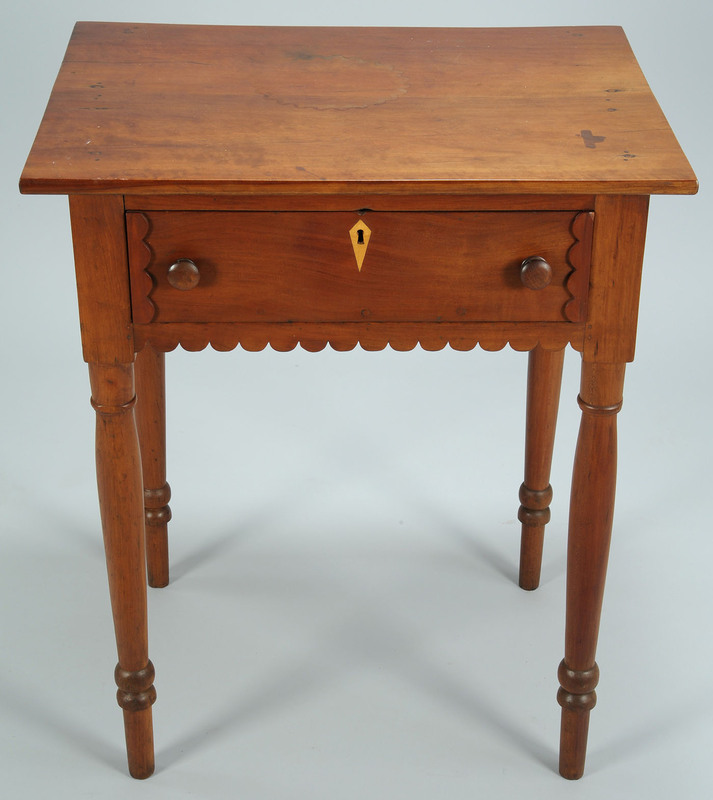 Features one dovetailed drawer with applied scalloped decoration on front and sides and central light wood diamond key hole escutcheon with original wooden pulls, turned legs. 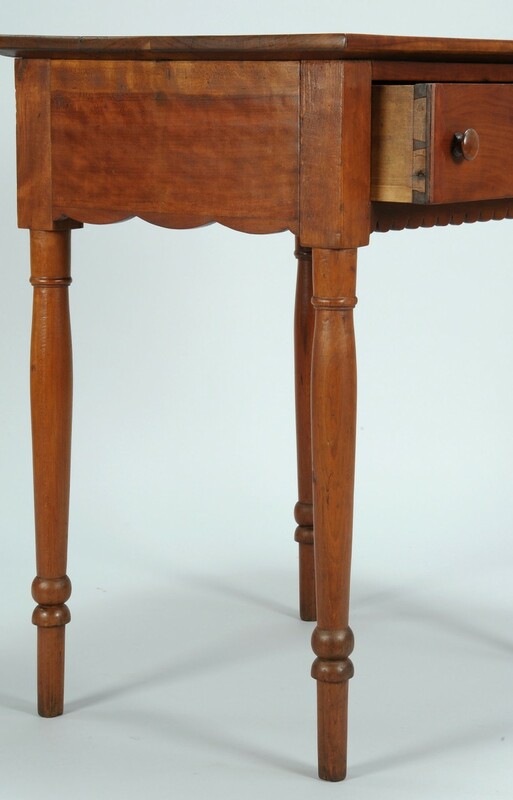 28 1/2" W x 24 3/4" W x 18" D. Mid 19th century. Condition: Overall very good condition, older refinish.